﻿ June 2017 Employee Feature: Danielle Horan - Flow Tech's 1st Marketing Intern - Flow Tech, Inc. Here at Flow Tech, we understand the value of college students gaining real-world, industry experience. The importance of professional experience and the future need to grow our company are both reasons why we’ve developed a summer internship program. Although we’ve had interns in the past they have always been Inside Sales Engineering Interns. We hadn’t really entertained the idea of bringing on an intern to learn a different area of our business besides sales. Well, as of this month that is no longer the case – Danielle Horan has joined us as Flow Tech’s first ever summer Marketing Intern! Unlike most of our interns who we usually meet at a university career fair, or from a collegiate job board, we found Danielle through Mike Davis, current Sales Engineer extraordinaire. Danielle is a family friend of Mike’s and mentioned that she was looking for a summer marketing internship. Knowing her personality and work ethic Mike recommended Danielle to Flow Tech President, Rich Harper and Director of Marketing, Nichole Petersen, as a potential marketing intern candidate. After some discussion, Nichole reached out to Danielle to learn more about her and what she was looking for in a summer internship. Liking what she learned, Danielle was brought in for an interview and soon after offered a summer internship position. What college are you attending and why did you decide to go there? I’m currently attending Wheelock College in Boston, MA. 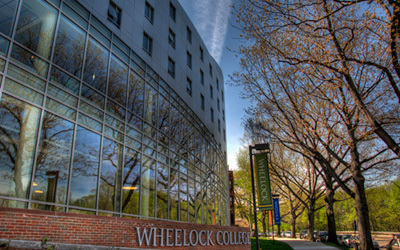 Besides having my major, I chose Wheelock for its close-knit atmosphere. We only have about 800 undergraduate students total, so campus is very intimate and faces are always familiar. In contrast, my high school had just over 2000 students and at times I hated not recognizing everyone, so I knew I wanted a small school when I started looking at colleges. I just simply loved Wheelock’s sense of community and combined with Boston being my backyard, I couldn’t say no! What major(s) are you pursuing and what made you decide to pursue it/them? I’m currently pursuing a double major in Communications & Psychology. It’s a funny story, actually- ever since high school, I had my heart set on being an elementary school teacher. However, after taking some Communications classes last year, I decided that this was the right path for me instead. I couldn’t see myself working in a classroom setting any longer, and I’m very happy with where I am now! What courses/ professors have you enjoyed the most so far? I have most enjoyed a history class I took last year, “America through the Civil War.” It was by far the most difficult class I have taken thus far, but looking back on it I’m thankful that I did. The professor really wanted us to learn and despite the heavy workload, I was able to take away a lot of important lessons from the class. I also developed a great relationship with the professor in the meantime. What is your favorite thing about college life? My favorite things about college life have to be the freedom to explore the city and the people I have met. When I’m not in class or working, my friends and I enjoy taking the T or walking to new places, taking pictures, and eating at new restaurants. 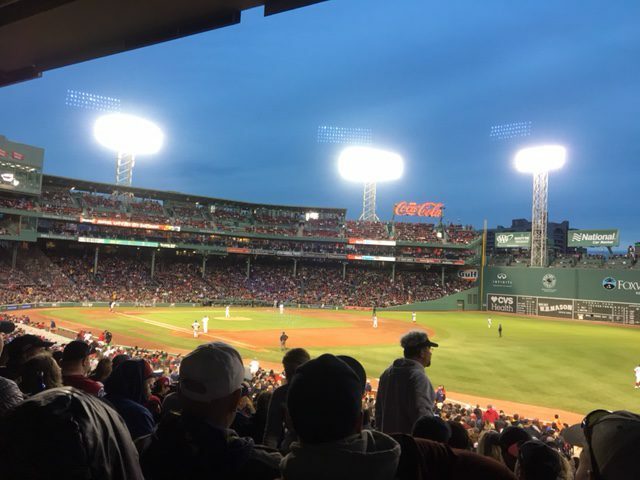 We also enjoy going to Red Sox games, and we actually get $10 tickets through our school. You just can’t beat the Boston city life! My least favorite thing about college (besides the ridiculous price) is hands down the food. I definitely eat out a lot while in Boston because I cannot stand the sight of the food in my school’s cafeteria! Do you belong to any extracurricular activities/clubs? I have been a part of a few clubs during my time at Wheelock. During my freshman year, I volunteered for a program called Jumpstart, where I worked with a team of 5-6 of my peers to teach preschool students in Roxbury. I also am a math leader on campus, where I lead and facilitate weekly study groups for a math class I took my freshman year. I work part time at the Wheelock Library as well, so I’m heavily involved in any events that they host, including giving tours to prospective students. When is your expected graduation date and what do you plan to do when it arrives? I’m lucky to be graduating a semester early in December of 2017. When the date arrives, I’m not sure exactly what I’m going to do but I do want to stay living Boston, and I hope to find a marketing job in the Boston area. 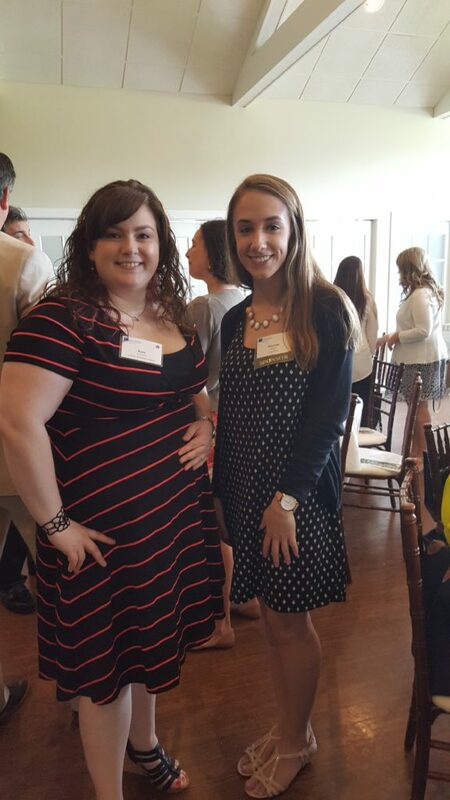 Danielle with Kate Anderson (Gilbane) during the SMPS CT Annual Meeting. What made you decide to accept the internship with Flow Tech? When Mike Davis told me about this potential opportunity, I was ecstatic. With the way that both he and Nichole spoke of Flow Tech, its culture, and its employees, I had a strong feeling after my interview that this was a great fit. I really like how Flow Tech is a small company, and I feel that they value their employees and clients in ways that larger companies can’t. I know that my internship is a great opportunity for me to learn and grow as a professional, and I couldn’t be happier to spend the summer as a member of the Flow Tech family! 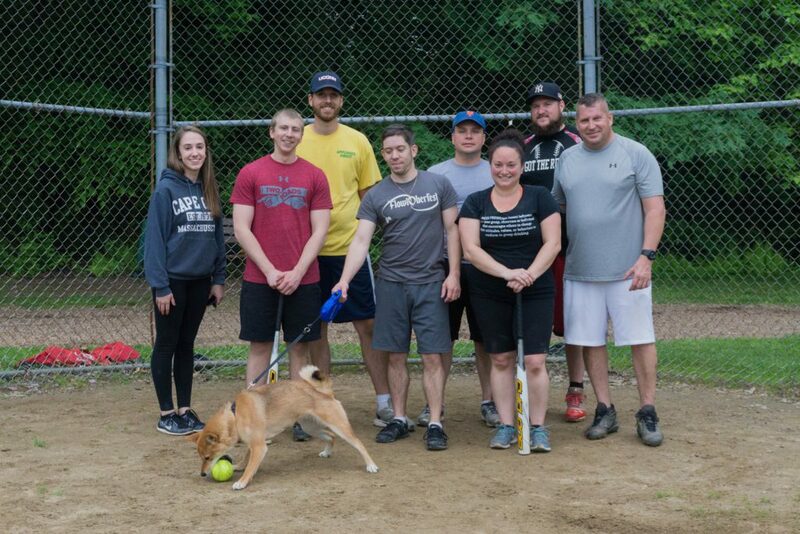 Do you hold another job besides your summer internship with Flow Tech? I do currently have another job waiting tables at Chilis in Glastonbury on the weekends. What are your hobbies or what do you like to do in your free time? In my free time, I enjoy hiking and spending time outdoors. I have also developed a love for photography, so I like exploring new places with my camera in hand. 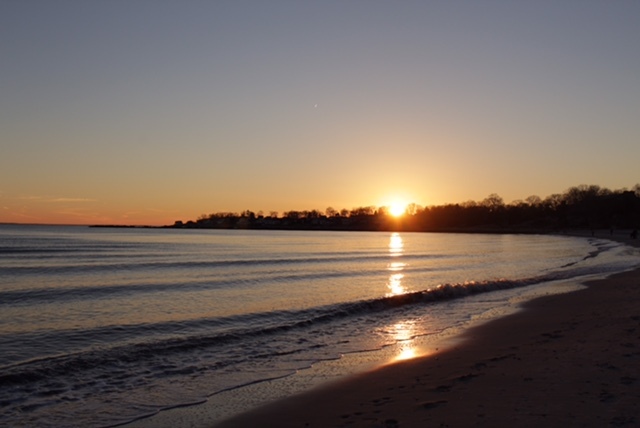 In addition, I enjoy relaxing at the beach, and I would definitely stay there every (sunny) day if I could! If you could be a super hero who would you be and why? Hmm… If I could be a super hero I would probably be Wonder Woman because she has super speed and strength, which would definitely be helpful for completing school work and other tasks. And, she can fly, which I think would be so cool! As a kid, I loved flying places when we went on trips, and I’d always be most excited for the plane ride. I’ve always wanted to travel out of the country, but sadly haven’t gotten the chance to do so (yet!). I would probably choose Paris or Rome if I could go anywhere. I have a few close friends who have been to both, and their pictures were simply breathtaking, not to mention their talk of the food and atmosphere. If you could have dinner with anyone alive or dead who would it be and where would you go? If I could have dinner with anyone alive or dead, I would choose my great grandmother who passed away a few years ago. We were very close, and I would go to a little Italian restaurant that we used to always eat at, Yanni’s in Newington. If you had to eat one food for the rest of your life what would it be and why? This is a tough one… I like a lot of different foods, but I would have to say my favorite is Penne ala Vodka. Vodka sauce is my absolute favorite! Any additional comments or unique things you’d like us to know? Fun fact- up until middle school, I was hugely into figure skating and actually trained and competed in numerous shows. I also really enjoy baseball and softball and am a huge Red Sox fan (another reason why I chose Boston for school!) I’m very excited to be working for Flow Tech this summer, and I am already learning so much from everyone! Danielle works with our Director of Marketing, Nichole, and the two are working very well together. Currently, Danielle is helping with marketing list creation, management, and data hygiene. She is also learning about our digital presence by helping with social media posts, website updates and blog writing. We’re also teaching her the importance of industry association involvement by taking her to the various programs and planning retreats we’re involved with. Later this summer we hope to have her put her love for photography to good use too. We’re very excited to have Danielle aboard and to continue getting to know her throughout the summer. Fun fact: tomorrow (6/28/17) is her 21st birthday and we’ll be sure to help her celebrate! To learn more about us or our summer internship programs please visit our website, email us or call us today, 860.291.8886. Remember you can always get industry information and up-to-date news by following us on social media: Twitter, LinkedIn, Google+ and YouTube! Marketing Intern at Flow Tech, Inc.
Danielle joined Flow Tech this June of 2017 as their first ever summer marketing intern. She is currently heading into her senior year at Wheelock College in Boston, MA, studying Communications & Psychology. She will be assisting with the management of social media and Flow Tech's digital presence, along with other marketing communication initiatives. In her spare time, Danielle enjoys photography, hiking, and spending time on the beach. What an awesome article and beautiful young woman ! !